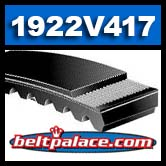 1922V417 Multi-Speed Belt, Industrial Grade. 1922V417 Multi-Speed Belt. Industrial Grade. Length 42.5” O.C - Top width 1.187" - Angle 22. 1060VB3022 VARIABLE SPEED, Bando Power Max 1922V417. GATES, BANDO, BROWNING, JASON, SPEED CONTROL 1922V417 Belt. 1922V390 Multi-Speed Belt, Industrial Grade. 1922V390 Multi-Speed Belt. Industrial Grade. Length 39.6” O.C - Top width 1-3/16" - angle 22. Comet 300663 (A-C) Drive Belt. 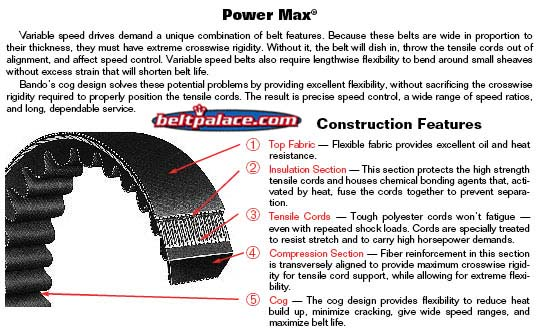 Comet Industries 300663-704096 BELT.